If there is an exact formula in creating a viral content in the Internet, millions of blogs, images, and videos on the web should've been featured in the local news these days. Do you think Psy have known that his "Gangnam Style" video will become viral after a few weeks of posting it on YouTube all along? There are only three English words in that video - how did it go viral? When something goes viral in the Internet, it means that it has reached millions, even billions of people around the world. With this, many have been trying to formulate a viral content on the web for marketing purposes. Aside from saving tons of money for television, print, and Internet ads, a marketing strategy that goes viral guarantees success in many ways. It can reach your target audience in a larger scale, and you can improve your reputation as well since it also gets the attention of those who know nothing about your brand or company yet. 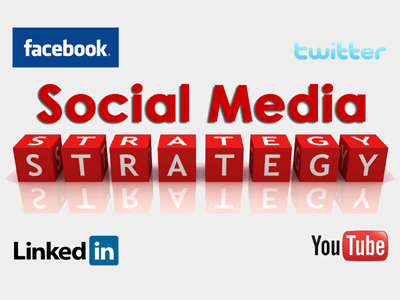 Read More: How to construct Social Media Profile? Viral contents on the web usually spring out from social media websites. This is because of the large number of connections in these websites that serves as a bridge for any viral content. From the root word "virus", a viral content can be produced and passed by an individual, and the people who gets the content shares it to their connections, and the cycle goes on. This is one of the most popular social media sites to have the most number of viral content successes these days. Unlike other platforms, this social media site revolves around videos uploaded by users and shared by viewers in other social networks. As a powerful tool in popularizing any content, it has produced big names in the entertainment scene such as Justin Bieber, Boyce Avenue, David Choi, Greyson Chance, and many more. Facebook has been very successful into becoming the most popular social media website nowadays. From a humble school network, it has become a global platform for connecting people around the world. This is where other kinds of media content are shared (including videos from YouTube) that sometimes, goes viral. Twitter has become a popular social media network in incorporating micro-blogs and Facebook-like networking strategy. Pictures, videos, and short messages are used in this platform and shared by people who are being "followed" and "followers". There's no exact way of creating a viral media content that you can apply to your marketing strategy. Still, there are characteristics that you should know that most viral videos and other forms of media have in common. Viral media in general, creates a strong feeling or emotion - it can be hate, sadness, and of course, humor. If you want to have a successful viral media for your marketing strategy, forget asking yourself "How do I make something viral?" Instead, try to make engaging and relevant content that reaches out to the hearts of your audience. There is one caution in using a viral media strategy on the web. This is when you produce overly promotional content that usually bores people (you might read comments saying - not another promotional nonsense!). Observe how previous "Internet sensations" and viral videos or pictures engaged people in many ways. Is humor relevant to your brand or company or are you willing to risk it with "shocking" contents on the web? Make your strategy simple and let people talk about whatever content you've produced. Paul Nino is a writer and social media consultant, Click to learn more about social media marketing. Paul loves to write about the latest trends and issue about online marketing.